At Tunbridge Wells Taekwon-Do we offer martial arts classes for all ages. Our pre-school Taekwon-Do classes are for 3-6 year olds, where kids learn life skills in a fun and safe environment. We play games that develop hand-eye coordination, fitness and teamwork skills as well as learning how to deal with strangers and bullies and what to do in emergency situations. For children over 6 years old our Taekwon-Do classes teach self defence in an active, disciplined session. 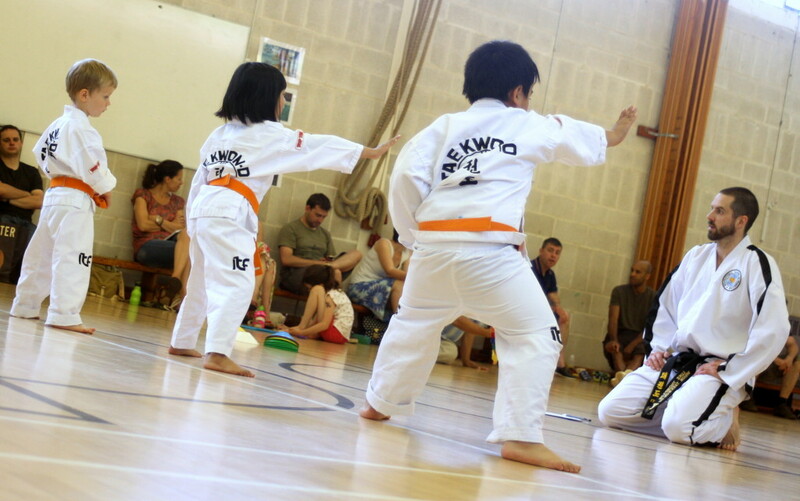 The classes are an excellent way for children to build up self confidence and get fit. The children play games that develop the balance and core strength as well as get them interacting with others and working as a team. They learn to be respectful of each other and improve their concentration and focus, which helps them to develop at school and in other sports. Adult classes are a mix of ages, from 14 years and up. The adults training sessions will help you learn how to defend yourself and develop your fitness, flexibility and confidence. The sessions are physical and fun and suitable for all abilities. Students in the kids and adults classes can compete in the sport side of the art at local, national and international competitions, putting their skills to the test against different opponents. Please see the class times and locations on the right hand side. For more information about the classes please don’t hesitate to get in touch using the contact page.